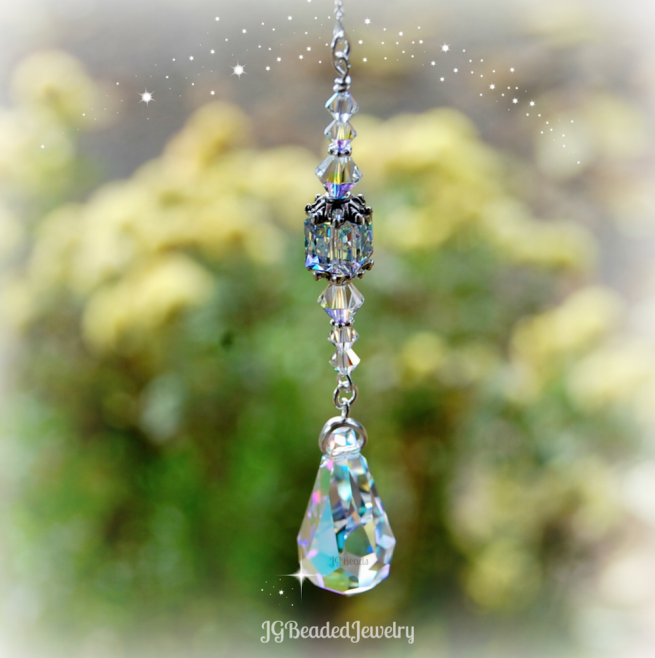 This Swarovski teardrop crystal suncatcher is perfect for the rearview mirror, a window in your home, the office or somewhere that could use a little sparkle! 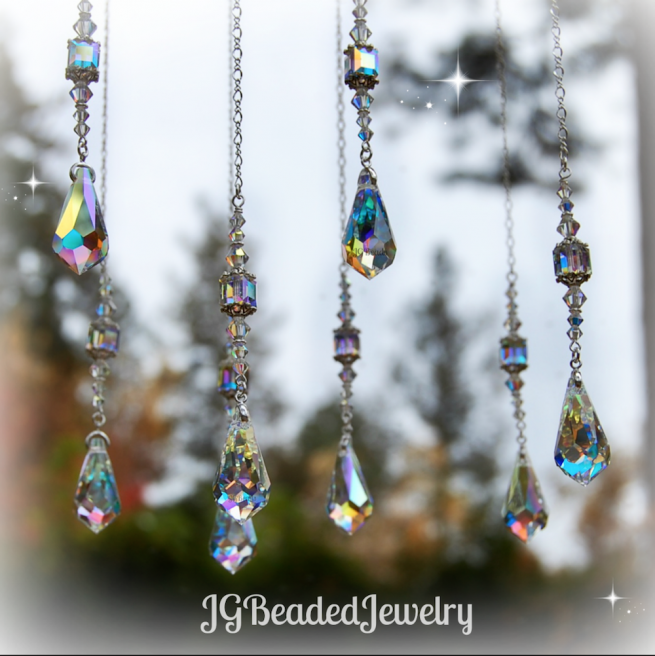 The elegant Swarovski prism and crystals have a partial aurora borealis finish which gives it a brilliant flash of color. 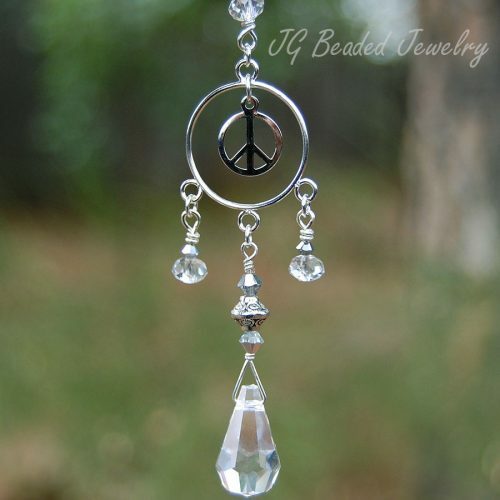 The teardrop measures 28mm long x 14mm wide. 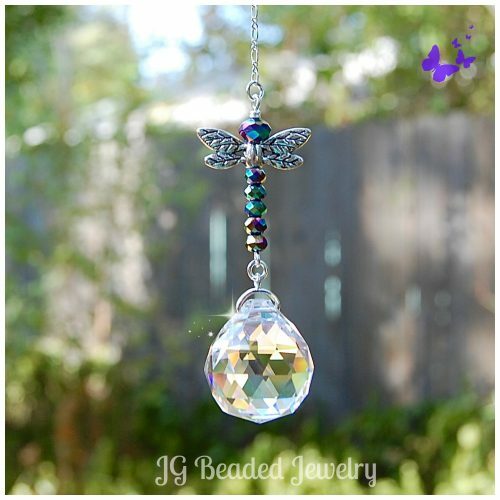 The Swarovski crystal decoration is uniquely designed with love, securely wire wrapped by hand for strength and attention to detail.